1) The U.S. 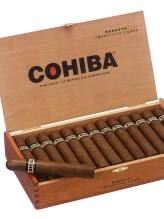 Trademark Trial & Appeal Board (TTAB) has declined Cubatabaco’s petition to cancel General Cigar’s trademark of the Cohiba brand. This is the latest victory for General Cigar in its 16-year-old legal battle with Cuba’s state-owned tobacco monopoly. At issue is whether the longstanding Cuban embargo enables American companies to sell non-Cuban cigars with Cuban brand names. “This ruling once again affirms what we have believed all along: That Cubatabaco has no merit in challenging General Cigar’s ownership of the Cohiba trademark in the United States,” said Dan Carr, president of General Cigar. We previously summarized some of the trademark battles being waged as a result of the Cuban embargo here. 2) Gov. Mike Beebe signed House Bill 1531 into law on Tuesday, effectively capping the Arkansas excise tax on cigars at 50 cents per cigar. “Arkansas becomes the ninth state to cap its ad valorem tax rate on cigars, joining Connecticut, Iowa, Michigan, New Hampshire, Oregon, Rhode Island, Washington, and Wisconsin,” according to the International Premium Cigar & Pipe Retailers Association. 3) Inside the Industry: Crowned Heads has been working on the “J.D. Howard Reserve” since October (the blend was finalized in early February) but the new cigar won’t make its debut until the industry trade show in Las Vegas this summer. The cigar will be available in 5 vitolas: HR46 (6 x 46), HR48 (5 x 48), HR50 (5.6 x 50 figurado), HR52 (6 x 52), and HR54 (5 x 54). 4) Around the Blogs: Stogie Review reviews an Inception. Half Wheel fires up an OpusX Football. Cigar Inspector inspects an H. Upmann Legacy. Stogie Fresh smokes the RoMa Craft Tobac Intemperance EC XVIII. Cigar Fan lights up the Trinidad Paradox. 5) Deal of the Week: Normally $65, this La Gloria Cubana deal features six La Gloria cigars and a dual flame torch lighter for $40.